As we head into the final days and hours before one of the most critical elections in Wisconsin's history – on Tuesday, November 4th – remember: YOU DO NOT NEED AN ID TO CAST A BALLOT IN THIS ELECTION IF YOU ARE CURRENTLY REGISTERED TO VOTE! The United States Supreme Court blocked implementation of Wisconsin's extreme and restrictive voter photo ID law on October 9th for this election. So do not let anyone tell you otherwise. Go vote! 1. The last day you can cast an absentee-in-person vote is Friday, October 31st (Halloween day) up until 5 PM or when your local municipal clerk's office closes, whichever is later. Hours vary – for example, the municipal clerk offices in Milwaukee and Madison will close at 7 PM on the 31st. To find out where you can early vote and to confirm your clerk's office hours, go to the Wisconsin Government Accountability Board's My Vote WI website and search for your voter record or do an address search. You can also access this list of all Wisconsin municipal clerk's offices to get contact information in order to find out what hours you can cast an in-person absentee ballot on October 31st. 2. If you are planning to vote on Election Day (November 4th), make sure you know ahead of time where your polling place is. Perhaps the location has been moved since the last time you voted? Perhaps not. Go here to check and make sure! Again, NO PHOTO ID IS NEEDED TO VOTE ON NOVEMBER 4th (OR TO EARLY VOTE) if you are currently registered to vote. If you are not currently registered to vote, you can easily do so until close of business on October 31st at your municipal clerk's office or on Election Day at your polling place. You will need to bring: a document – either hard copy or electronic (on your cellphone/tablet/laptop) – that proves you live within your voting district (e.g., a recent utility bill, bank statement, pay stub) and either the number and expiration date of your Wisconsin driver's license or Wisconsin DOT-issued ID card or the last four digits of your social security number (only if you don't have a WI license/ID card). 4. If you would like to early vote (by close of business on Friday, October 31st) or want to vote on November 4th and you need a free ride to your polling place, CC/WI has compiled a statewide listing of who you can contact to help you get to your polling place. 5. Common Cause in Wisconsin is once again partnering with the nonpartisan Election Protection coalition, led by the Lawyers’ Committee for Civil Rights Under Law. The primary goal of the Election Protection coalition is to provide "guidance, information and help to any American, regardless of who that voter is casting a ballot for." Please spread this information around to family and friends, and make sure you vote on or before Election Day! Early voting is available NOW! If there is even the slightest chance you won’t make it to the polls on November 4th, don’t wait. You can vote early at your Municipal Clerk’s Office on weekdays until 5:00 p.m., or close of business (whichever is later) now through Friday, October 31st. Remember: You do NOT need a photo ID to vote. Not already registered to vote at your local polling place? No problem. You can register to vote in your municipal clerk's office up until October 31st or on Election Day when you vote. Be sure to bring either the number and expiration date of your Wisconsin driver's license or Wisconsin DOT-issued ID card or the last four digits of your social security number (only if you don't have a WI license/ID card) – AND a hard copy or electronic document (on your cellphone/tablet/laptop) that proves you live within your voting district (e.g., a recent utility bill, bank statement, pay stub). For more information, check out this excellent Q&A article: “Voting in the Nov. 4 election” from the Wisconsin State Journal. Are you (or do you know of) a college student looking for basic information about voting in Wisconsin? CC/WI has developed a one-page fact sheet for students that you can download and print here. Planning to vote on Election Day, but don’t have a ride to the polls? A number of groups are offering rides to the polls to help ensure that all eligible voters are able to cast a ballot. For more information, contact CC/WI by email or phone at 608-256-2686. Interested in helping others get to the polls on November 4th? Please let us know! We’ll put you in touch with others in your area who need a ride and/or with other groups coordinating rides. How about volunteering as an Election Observer? With the prospect of close races and potential confusion at the polls, volunteering to be a poll monitor is a critical way you can make a huge difference this election. The League of Women Voters of Wisconsin tells us they are in most need of folks in Eau Claire, La Crosse, and Oshkosh. So if you live in one of these three communities, and can spare even a few hours on Election Day, contact the League ASAP! But remember, poll observers are still needed across the state – so please do volunteer wherever you live! Once you sign up, the League provides everything you need to get up-to-speed in no time: online training, a reporting form, a polling place assignment and numbers to call on Election Day if you have a question or need to report a problem. How to get started? Sign up using the League’s online Election Observer Volunteer Form. And finally, please make your plan NOW to cast your vote on or before Election Day! Take a friend with you to vote, and volunteer if you can. No Excuse Now Not to Vote on or Before November 4th! 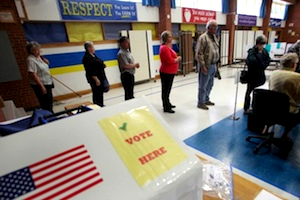 The twists and turns in the saga of the extreme and restrictive photo voter ID law in Wisconsin, Act 23, appears to be settled, at least for the time up to and including November 4th - Election Day. The U.S. Supreme Court's surprising (given its composition) but eminently correct decision last week to halt implementation of voter photo ID, because of the chaos and confusion ensuing in Wisconsin since its reinstatement by the U.S. Court of Appeals for the 7th Circuit on September 12th, means that Wisconsinites can and should vote as they always have before – without the impediment or burdensome hindrance that Act 23 was specifically designed by its architects to impose on the Wisconsin electorate. This means Wisconsinites can vote this coming election the way they have voted for years: as citizens participating in and exercising their most fundamental democratic right without unnecessary requirements designed to suppress the vote of certain segments of the population in order to gain partisan advantage. The nation's high court did not pass judgement on voter photo ID itself. That will be decided after the election in all likelihood. And that battle will be joined then. But for now, there is no reason or excuse for any voter in Wisconsin who is eligible to vote, not to do so. Without one of the narrow array of proscribed forms of ID called for in Act 23. If you are already registered to vote at your local polling place, simply head to the polls on Election Day and vote – no ID required. 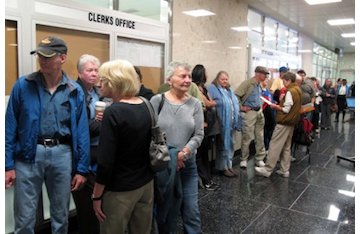 Or vote early at your local municipal clerk's office – you can do so from October 20th-24th or October 27th-31st. What if you are not already registered to vote at your local polling place? You can register to vote in your municipal clerk's office up until October 31st or on Election Day when you vote. Be sure to bring a document – either hard copy or electronic (on your cellphone/tablet/laptop) – that proves you live within your voting district (e.g., a recent utility bill, bank statement, pay stub) and either the number and expiration date of your Wisconsin driver's license or Wisconsin DOT-issued ID card or the last four digits of your social security number (only if you don't have a WI license/ID card). Read this excellent voting rights guide from the ACLU of WI for more detailed information about voter eligibility, absentee/early voting, other forms of proof of residency, and more. 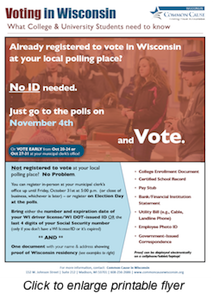 If you are (or know of) a college student looking for basic information about voting in Wisconsin, CC/WI has developed a one-page fact sheet you can download and print here. And finally, just because voter ID has been blocked for the November 4th election, that does not mean that eligible voters are no longer in danger of being disenfranchised at the polls. Help ensure that no eligible voters are denied the right to cast a ballot by volunteering to be an election observer. 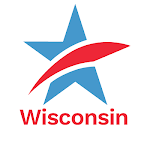 Our friends at The League of Women Voters of Wisconsin provide everything you need to get up-to-speed in no time: online training, a reporting form, a polling place assignment and numbers to call on Election Day if you have a question or need to report a problem. Milwaukee-based Wisconsin Election Protection is also looking for volunteer poll watchers. You can find out more by contacting their State Coordinator, Sheila Cochran by email or phone at 414-771-7070. Being an election observer is a simple way to make a huge difference. Please reach out to one of these two organizations and volunteer! And remember, there is no excuse for you not to cast a vote on or before election day. Share this information with family and friends – and make sure that they exercise their right to vote as well. Huge and wonderful (and unexpected) news for democracy, fairness and justice Thursday night! The United States Supreme Court voted 6 to 3 to block, for the upcoming November 4th election, the restrictive and extreme Wisconsin Voter photo ID law that was suddenly and erroneously reinstated by the U.S. Court of Appeals for the 7th Circuit on September 12th! This means Wisconsinites can vote this coming election the way they have voted for years: as citizens participating in and exercising their most fundamental democratic right without unnecessary and burdensome requirements designed to suppress the vote of certain segments of the population in order to gain partisan advantage. Now, more than ever, there is no excuse for any eligible citizen not to cast a ballot on November 4th! The reinstatement of Wisconsin’s Voter Photo ID law on September 12th – just 52 days before the November 4th general election – has put the ability to cast a ballot at risk for many college and university students across the state. 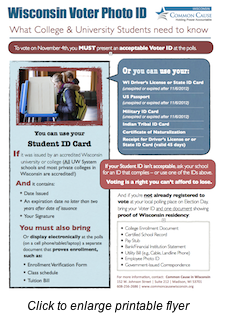 A Wisconsin college student ID is valid at the polls as long as it: hasn't expired; has the student’s name, photo and signature; includes issuing and expiration dates; and the ID does not expire more than two years after the date it was issued. The problem is, student IDs issued prior to and at the beginning of the semester by 13 out of the 14 University of Wisconsin System schools (including UW-Madison) do not meet all of these criteria. While schools are scrambling to address the situation, with new IDs starting to be made available to those who request them, students still have to be made aware of the changes to the law AND they have to take the initiative to get an ID. The Wisconsin Government Accountability Board, universities, campus groups, CC/WI and other advocacy organizations are doing what we can, in the little time we have, to amplify the message that an acceptable voter photo ID is needed (and needed now!) and that students must take action. To further help raise awareness, we have created a simple, downloadable fact sheet for students, a quick reference guide on what students need to know before they head to the polls on Election Day. Last week, we sent out a link to a printable flyer providing the basic information all Wisconsinites need to know to ensure they have the proper Voter ID with which to cast a ballot. Please share both of these flyers widely. Voting is a right that none of us can afford to lose. Make sure you have the proper ID – and do whatever you can to raise awareness and help others get the ID they need in order to vote on November 4th. And if you'd like to do more to help ensure no eligible voter is denied the right to cast a ballot, then volunteer to be an election observer. The League of Women Voters of Wisconsin provides online training, a reporting form, a polling place assignment and numbers to call on Election Day if you have a question or need to report a problem. It's a simple way to make a huge difference.